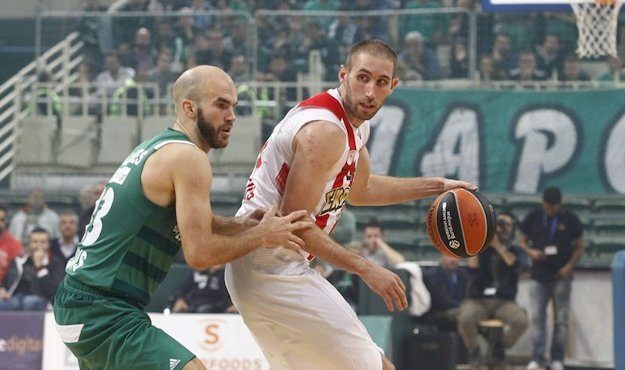 Matt Lojeski left Olympiacos and his next stop can be Panathinaikos as the two sides are more than near to a final deal for next season. Despite his flirt with Barcelona the American sharp shooter who has also a Belgian passport and he is ready to sign a one year deal. The only thing that is holding back the signatures is a special clause on his contract about his health. Like in the case of Barcelona, Panathinaikos wants security since Lojeski finished the season injured. With Lojeski onboard, Panathinaikos will have seven non Greek players on its roster. While this is not an issue for EuroLeague games, one of them will not have the right to play in the Greek League. Still Panathinaikos has decided to have seven players and if Lojeski doesn’t sign, then the next player on their list is former NBA player Manny Harris.